Spring has sprung and we here at WOHVA hope you are as excited about it as we are! And like us, we know many of you are out enjoying the best spring snow we've had in years, while others are in the garage getting your bikes and rigs tuned up for the upcoming riding season. Either way we can't wait to see you all out on the trails this year! As much as we're anticipating getting out and enjoying the fresh, spring mountain air, we're equally excited to share with you some of the things that are going on off the trails in 2016! The Washington State Legislature has adjourned for 2016 after a brief special session. So how did the OHV community fare with these legislative sessions? The good news is that no anti-OHV legislation was passed and the budget legislation includes a sizable increase in the Nonhighway and Offroad Vehicle Activities (NOVA) account allocation. The NOVA fund allocation has been increased by over a million dollars a year. This reflects the Nonhighway and ORV portion of the overall gas tax increase passed by the Legislature last year. We expect a similar additional increase next year too. This is a significant accomplishment considering that the last few gas tax increases did not include an increased NOVA allocation. The DNR will also receive almost a million dollars a year more in their ORV fund allocation. Another piece of OHV positive legislation that was passed by the Legislature was House Bill 1918 (HB1918), sponsored by Representative Matt Shea of Spokane. This bill was two years in the making. It will clarify the titling process for certain ORV situations and allow any motor vehicle repair facility to conduct WATV road use inspections in lieu of only ATV shops. It was being held hostage as part of the Governor’s petulant plan to punish certain members of the Legislature for not bowing to his demands, but was finally signed into law on March 31st. There was not any aggressively anti-OHV legislation proposed this year and this may be a result of WOHVA diligently defending our sport in previous years. That said, we cannot let down our guard or the anti-OHV people will quickly be back on the attack. WOHVA opposed House Bill 2762 (HB2762) and Senate Bill 6373 (SB6373). These bills would have significantly raised the amount of each motor vehicle registration renewal that is put into the ferry boat replacement account. This increase would have even applied to ORV permits and would have a massively disproportional impact on them. We shared our concerns with the sponsors of these bills and neither moved out of their house of origin. Representative Cary Condotta of Wenatchee has a long history of being pro-OHV. He is the former owner of a motorcycle shop and continues to be an off-road motorcycle enthusiast. He took the bold move of introducing legislation that would have taken the five dollars that is collected from the sale of each ORV permit under the guise of an "agency fee", but really put into the ferry boat replacement account and instead put that money directly into the NOVA account. While we saw this as a reasonable and excellent idea, the Chairman of the House Transportation Committee, Judy Clibborn did not agree and blocked House Bill 2739 (HB2739) from even getting a committee hearing. Unfortunately none of the Discover Pass legislation was passed this year. Instead, rather than fixing things, the Legislature chose to task State Parks with studying the situation. See the Discover Pass article for a more detailed description of the situation. House Bill 2740 (HB2740) and Senate Bill 5627(SB 5627) would have clarified the existing Discover Pass exemption for ORV permitted vehicles at locations where ORV is allowed, putting a stop to the DNR's misapplication of the current law. Senate Bill 5205 (SB5205) would have allowed spouses to pool their volunteer hours for the purpose of earning a free Discover Pass. For three years in a row, this bill or its identical predecessors have been passed by the Senate without any ever voting against it. Every year the Democrat party controlled House of Representatives blocks its passage, this year using the excuse that they are planning to study the whole Discover Pass issue and don't want to make any changes regardless of how small or reasonable before the study has been completed. For the third year in a row, WOHVA has had the pleasure of teaming up with the Northwest Motorcycle Association (NMA) and securing the services of lobbyist Grant Nelson. While WOHVA volunteers continue to do much of the heavy lifting, having a set of experienced eyes and ears on the ground every day is an invaluable asset. 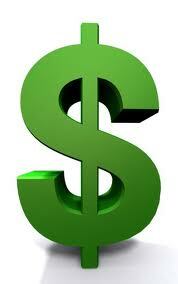 Thank you to the people that volunteered your time or donated some of your hard earned cash. Without your support we could not have accomplished what we have so far or plan to accomplish in the future. 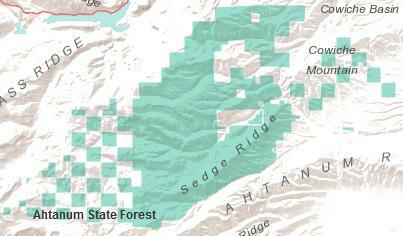 After nearly ten years in development, the Colville National Forest (CNF) has finally(!) released their draft Forest Plan (FP) Revision and accompanying documentation. On Feb 19th, the CNF released their draft Forest Plan Revision as well as a lot(!) of documentation to accompany the draft FP. 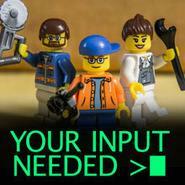 The public comment period ends on July 5th! Copies of the draft FP and the draft EIS are available online, as a CD, or printed copies. If you want a CD or printed copy, you must specifically ask for them. Check the first page of the "Reviewers Guide to Commenting" (available from the above web page) for information on how to obtain copies. Remember, this process does NOT close or change motorized routes. That process is done on a site-specific process later. However, if this proposal reduces the "road density", i.e., number of miles of road per square mile, that COULD influence future decision on roads. And, if an area currently being used for motorized recreation is on the list of recommended wilderness areas, the motorized recreation could be removed – if Congress designates the area as wilderness. We're excited to share that thanks to a NOVA grant, the Department of Natural Resources (DNR) will be adding a new OHV trail in the Ahtanum Forest. 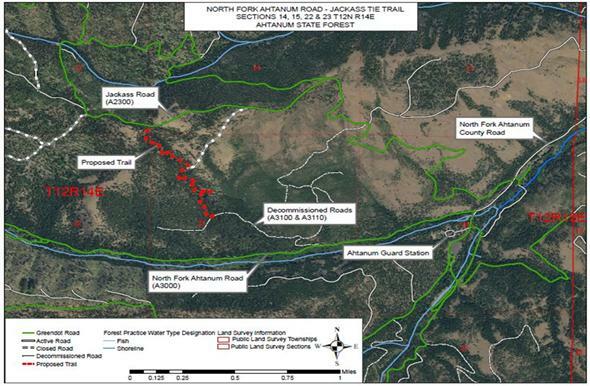 The 1.5 mile McLaine Canyon ORV Trail will connect the North Fork Ahtanum Road (A3000A) to Jackass Road (A2300.) This should be exciting news to those who ride there! In the past, A2300 wasn't easily accessible for ORVs leaving from the Ahtanum Sno Park due to a 1-1/4-mile stretch of asphalt road between the two. Now, everyone will be able to access that area right from the main parking area, opening up not only a new trail, but more loop options as well. The total cost of the McLaine Canyon Trail is estimated at $62,000 and was helped out by the $30,500 grant from the Recreation Conservation Office (RCO). The remaining $31,500 will be matched by the DNR. A goal that Jeff Jones, Southeast Region Director for the DNR, says should be obtainable through volunteer labor, as well as material and equipment donations. The projected completion date is the summer of 2018. In the winter this trail will become a groomed snowmobile route, so we wouldn't expect it to be an extremely tight trail. Because of this, a rumor has begun to circulate as to whether or not this trail is just going to be used to open up more logging areas. If built wide enough, smooth enough, and at a low enough grade, theoretically it could allow log trucks to bypass the extremely steep and tight section of A2300. When asked about it, Jeff assured us that "The new trail is NOT for logging trucks! It is going to be built for ATVs/ORVs with climbing turns and it will be steep in spots." It's important to note that Jeff and the DNR will be looking for input on the construction of this trail during the year. WOHVA will definitely keep you posted as the details develop. The overall management plan of the Teanaway Community Forest (TCF) was completed last fall by the 20 member volunteer committee. However, a very important element of the plan was left incomplete! The reason that the Department of Natural Resources (DNR) left recreation off the plan is that the DNR and Fish & Wildlife had not completed mapping information on fish and wildlife habitat, soils, water and other critical features of the forest. In addition, road and trail inventories were not done. To complete the recreation plan, the DNR needs more money from the legislature specifically earmarked for the TCF. Myself along with a handful of other committee members spent a couple days in Olympia in February advocating for the necessary funds to continue our work. As of Feb 24, the House came out and earmarked $436,000 and the Senate provided $236,000. Now the two bodies must reconcile these numbers. If all goes well, the committee can resume its work this spring. As your motorized recreation representative, I will work hard to gain access to the TCF. As it stands now, only non-motorized recreation can take place within the forest with exception of the three National Forest trails: West Fork, Yellow Hill, and North Fork – plus the connector road that links them. I'll keep you posted and be asking for your help in the near future. In January 2016, Auburn Car Repair & Offroad (ACRO) donated $1,000 to the Washington Off Highway Vehicle Alliance (WOHVA) in support of OHV advocacy. John Mathews, ACRO owner said "I felt it was time to give back and I really like what WOHVA is doing in support of OHV users across Washington State." John Mathews went on to say, "We're a family owned auto repair & 4x4 shop in Auburn Washington. We're also passionate about off-road recreation and have made support of OHV advocacy a part of our business model. In 2016, ACRO will donate a portion of our sales to support motorized recreation. I know this is the right thing to do and I challenge my fellow off-road business owners to join me in putting their money to work." "We're absolutely honored to have the support of John and his crew," said Byron Stuck' WOHVA's President. "This donation will be used to support our legislative lobbyist on the ground in Olympia. Having a full time presence during the legislative session is key to our success!" When you're in Auburn, stop by and say "thanks" for supporting OHV advocacy! Let's support those that support our sport! Website: www.auburncarrepair.com Contact them at (253) 939-5019 for your OHV needs. Social Media is a great way to keep up with what's going on in your neck of the woods! There are a lot of devoted, hard-working individuals out there making it even easier for everyone to do that. We've compiled a list of the individual pages for our Washington recreation areas. Please take a moment to check them out! If you know of one that we've left out, or are interested in starting one in an area not covered, let us know and we'll do whatever we can to help out. WOHVA is in the midst of planning our first ever Meet & Greet Ride this summer! Right now the tentative date is set for August 13-14 in Central Washington. Stay tuned for more information . . .
Would you like to experience sunny skies near Bend Oregon, raise money for both disabled soldiers and organizations like WOHVA, and play on 300 miles of trail? Thanks to Russ Henry, event organizer extraordinaire, the first "I Rode For A Warrior" benefit ride will allow you to do all that and more. . . Oh, and did we mention there’s a raffle for a new 2015 Husqvarna FC 250 as well? This first-year event is Russ' brainchild to help give back to those who gave so much for us. It's open to 4x4s, ATVs, SxSs, and dirt bikes – OHVs of all types. And the reason for picking this "outside Washington" location near Bend is the weather, the Pro-OHV attitude there, the ability for ALL users to find great trail fun, and . . . the weather! There is no-charge camping. The entry fee is $50 for singles and $100 for families. 65% of the proceeds will go towards purchasing track chairs for wounded warriors so they can continue to enjoy the outdoors and find a return of mobility. With the recent misuse of funds in the Wounded Warriors organization, Russ wanted to assure us that this gives very little to their general fund and primarily funds tracked chairs. Participants will receive a hat and t-shirt and catered dinner Saturday night. Plus there will be vendors and a live band. In short, Russ is pulling out all the stops to bring some sunshine to end the winter doldrums, bring smiles to soldiers who gave so much to protect our freedom, and allow motorized off-roaders of all kinds to come together for good times. It's sanctioned by the AMA and Off Road Riders for Veterans. Ride or wheel for a good cause . . . and have fun while you're at it exploring a trail system that may be new to you. We'll see you there on May 14th. Flyers and further details are still being developed. 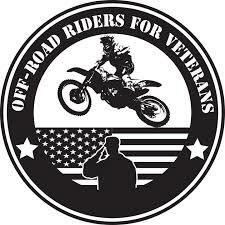 Look for more on www.offroadridersforveterans.com or the WOHVA Facebook page!